Well said. You missed some more brands like METRO, SONY, Vasan Eye Care, Dr. Govindarajan, Adidas, ibaco, sting, Samsung, Panasonic, Royal Enfield, Piaggiot, TATA Motors, etc. and many more. There were talks of opening another Dominos and MB there but they stalled the plans due to KFC. It is because the road has future scope for expansion (both the road infra and the road still has spaces till Vilangudi and beyond) and is a very lengthy road. There were talks of converting the Mappillai Vinayagar complex into a multiplex. Lets see. ^^ Well said. You missed some more brands like METRO, SONY, Vasan Eye Care, Dr. Govindarajan, Adidas, ibaco, sting, Samsung, Panasonic, Royal Enfield, Piaggiot, TATA Motors, etc. and many more. also in madurai GST,TPK,HIG all sounds good & esteemed. Where is black forest cake shop in bye pass road ??? @Modern Vampire : After making that road as one way, it has really facilitated easy riding but the commuters toward Azhagarkovil are in real chaos. Madurai is going to get another mall named "kolattam mall". Kolattam is where fun meets weekends, where shopping meets amusement and where luxury meets convenience in so many splendid ways. Kolattam located adjacent to Golden Lotus in Madurai is the ultimate retail therapy destination that brings together the magic of shopping, a 6 screen multiplex, unlimited entertainment and global cuisine in a truly international mall styled ambience. Kolattam is a brand new high for the residents of Madurai. Brochure has a few more nice renders. Big Bazzar building has been SEALED by Madurai Corporation! 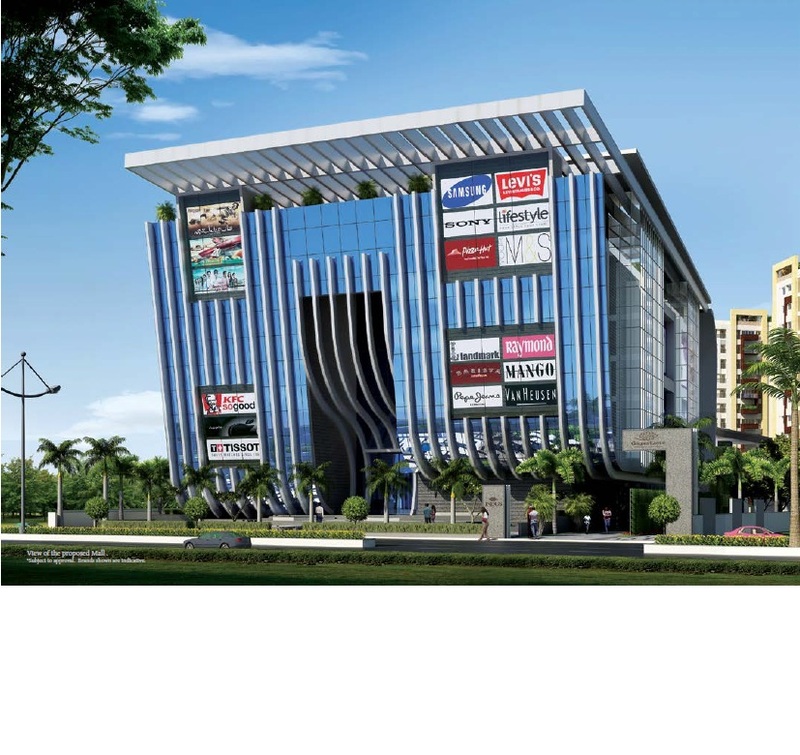 Vishal Mall may be their next target! Yes, Big Bazaar might exit if they face such kind of happenings. The Madras High Court bench here has sought a counter affidavit from the Madurai Local Planning Authority (LPA) on a petition filed by a private company challenging the sealing of the multi-storied Big Bazaar outlet in Madurai. N.K.Ashok, deputy manager of Future Value Retail Limited, filed the writ petition at the court stating the building that was sealed was taken on lease by him on the assurance of Jeyam Velmurugan Associates, the owner of the building, that the Madurai City Municipal Corporation granted approval to the building plan in 2008. On May 7, 2013, the LPA issued a notice to the petitioner asking him to vacate the building within 24 hours, he said. The petitioner claimed that he gave a request to the LPA seeking 30 days time to vacate the building, but the building was sealed on May 9. The LPA had issued the impugned notice on May 7 without verifying with Jeyam Velmurugan Associates if they obtained approval to construct the building, the petitioner contended. Retail giant 'Big Bazaar' has approached the Madras High Court (Madurai Bench) seeking direction to the Madurai local planning authority (LPA) to remove the seal which was put on its complex situated in Kalavasal in Madurai. The member secretary of Madurai LPA Anshul Misra who is also the district collector of Madurai, visited the complex on May 9 and sealed the entire complex of Big Bazaar as the complex (stilt + six floors) was constructed by violating the building norms. Seeking relief from collector's action, Future Value Retail Limited's deputy manager, legal (south zone) N K Ashok has filed writ petition. In the petition, it was stated that the building was taking on lease from one Jeyam Velmurugan Associate of Madurai in January 19, 2010. And it was assured by the land owner that the entire building was constructed according to the approved plan and that there was no deviation or violation of any rules in it. Besides, the company has engaged more than 200 employees and has stocks to an extent of Rs 3 crore, the petitioner contended. While the company is in lawful occupation, the Madurai LPA sent notice on May 7 stating that the construction had not been approved and that no planning permission was obtained to construct the building in the said property. Consequently, the company was required to remove all the objects in the building within 24 hours, the petitioner stated. The petitioner also said that till May 7, the company was not aware of any notices and legal processes initiated by the authority against the land owner (Jeyam Velmurugan Associate). "The notice has been issued without verifying the authority's own records under which they have given permission to the landowner to construct the building. Besides, they sealed the building without giving opportunity to the company to put forth its submissions. The authority's act is a violation to the natural justice. Hence, the LPA's notice should be stayed and the seal should be removed," the petitioner prayed. When the matter came up before the division bench comprised of Justices M Duraiswamy and T Raja, the additional advocate general (AAG) K Chellapandian denied the claims of the company. He told the court that prior notice was given to the concerned person regarding the violation. Following it, the division bench directed the AAG to file counter to the writ petition and posted the matter to next week. BIG BAZAAR is back now.! !